Ten's is a modern, elegant tapas restaurant. Its extensive and varied menu offers traditional Spanish tapas, modernised by our chef Jordi Cruz, alongside new creative tapas. Choose from à la carte, smaller main courses to share or tasting menus. Ten's aims to add a grand restaurant dimension to a classic tapas establishment whilst serving the best products and creations at the best prices. Remaining loyal to his philosophy, Jordi Cruz has entrusted an in-house trained chef once more, this time to manage the kitchen at Ten's. Young, tenacious, creative and meticulous, Iñaki Aldrey has everything it takes to lead and succeed at Ten's. Iñaki started at ABaC restaurant in April 2011 as a stagiaire after completing his studies at Fraga do Eume secondary school in Ferrol and working at the Parador hotel and Gabeiras restaurant. 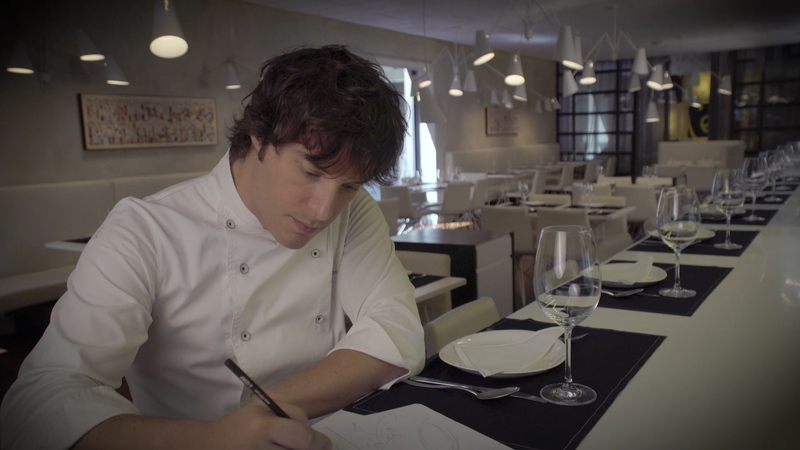 After 6 months' work experience, Jordi Cruz decided to make him part of the ABaC team, where he worked until May 2016, when he took on the challenge as chef at Ten's Tapas Restaurant. The choice is yours. Choose an oval or rectangular table, for two or for four diners. Choose between the bar, terrace (weather permitting), main dining hall or a private room. Choose to sit in an armchair, or on a stool or a sofa. Choose the time you eat: enjoy lunch, dinner, or an aperitif at the bar, all in a setting with its own personality. A sea of lamps, chairs and tables with tubular structures, where white predominates and contrasts with the blackboards that list the exquisite recommendations, giving the space a distinctive style reminiscent of Jordi Cruz's cuisine.